Biography: Michael H. Myers was born in Mobridge, South Dakota and grew up in Linton, North Dakota. He attended the University of North Dakota where he earned a Bachelor of Science Degree in Criminal Justice and a Bachelor of Arts Degree in Philosophy in 1998. He attended Southern Methodist University School of Law (now known as the SMU Dedman School of Law) graduating with his Juris Doctorate in 2001. He was admitted to the State Bar of Texas in 2001. During college and law school, Michael served in the United States Army National Guard in North Dakota and Texas, as well as the United States Navy Reserve. Among other decorations and honors, Michael was selected as the “Blue Jacket” of the year for Reserve Intelligence Area 6, was awarded the Global War on Terrorism Ribbon, the Joint Meritorious Unit Medal, the Texas Adjutant General’s Individual Award, and qualified as an expert marksman in both rifle and pistol. Michael joined the Silvera Firm in May 2017. His practice encompasses complex commercial litigation, general civil litigation, bankruptcy litigation, real estate litigation, landlord-tenant litigation, and collection litigation. He has presented various CLE courses in Texas addressing several issues related to obtaining and enforcing judgments as well as landlord-tenant issues. Michael’s litigation experience includes several published cases in both state and federal courts in Texas. 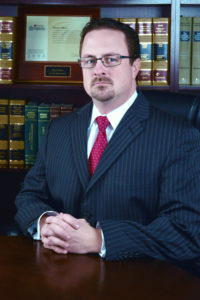 Michael is a member of the State Bar of Texas and the Dallas Bar Association. Michael is licensed to practice before all Texas state courts; the United States District Courts for the Northern District of Texas, Southern District of Texas; Eastern District of Texas, Western District of Texas; and the United States Court of Appeals for the 5th Circuit. Due to HB300 information may be stored or transmitted electronically.